Not everyone has the luxury of having a spare bedroom in their home, and this can prove to be a problem especially when out of town guests come over to spend the night. 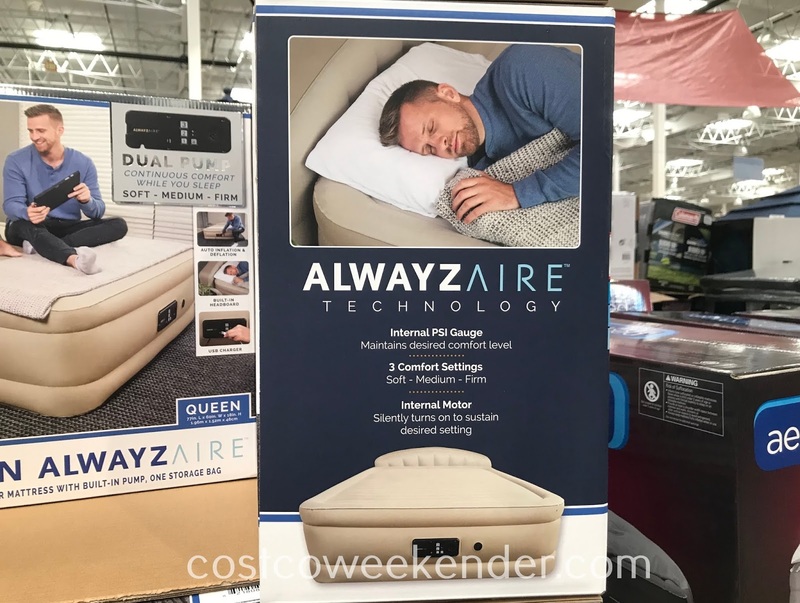 A good alternative is the Spring Air Queen AlwaysAire Airbed. 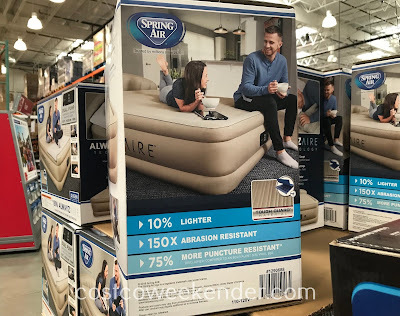 It may not be as good as a regular bed, but it's a very good alternative. 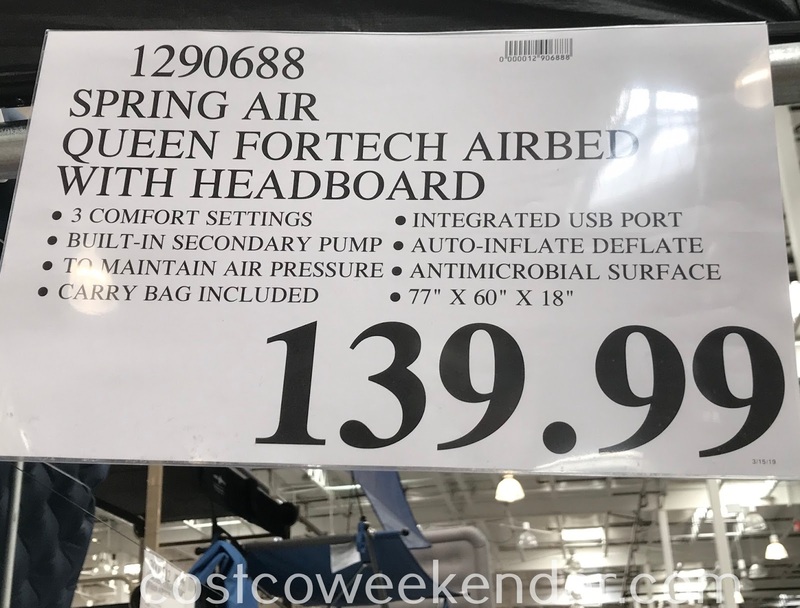 It's just like any other conventional air mattress, but the main feature that sets itself apart is the fact that it doesn't deflate while in use. That way your house guests won't wake up to a half inflated bed with less support than when they fell asleep. 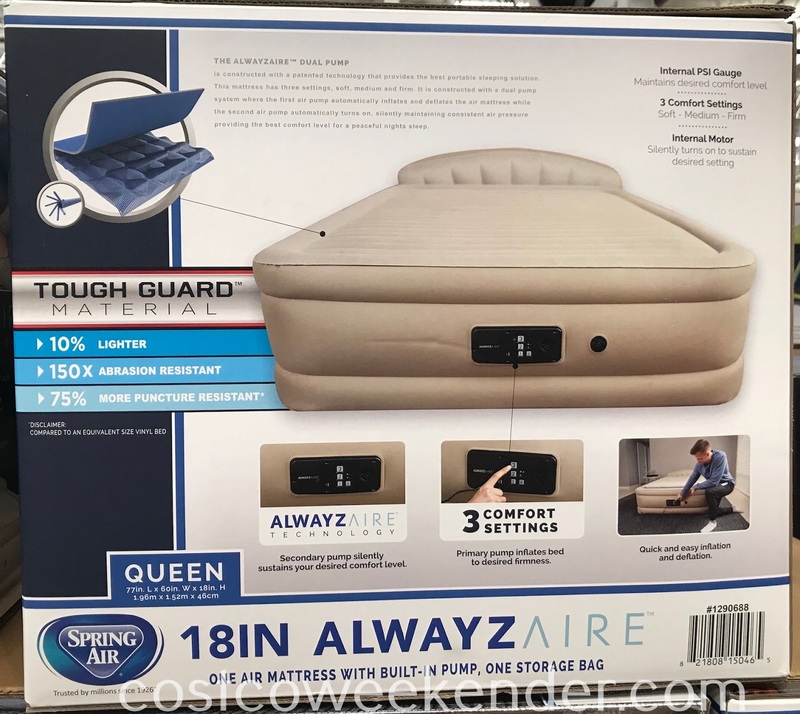 The Spring Air Queen AlwaysAire Airbed inflates to your desired level of firmness, and the pressure gauge allows it to keep that level throughout the night ensuring a good night's rest. 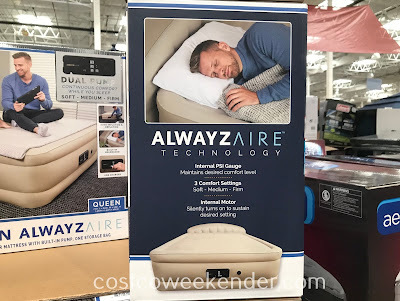 The AlwayzAire Dual Pump is constructed with a patented technology that provides the best portable sleeping solution. This mattress has three settings, soft, medium, and firm. 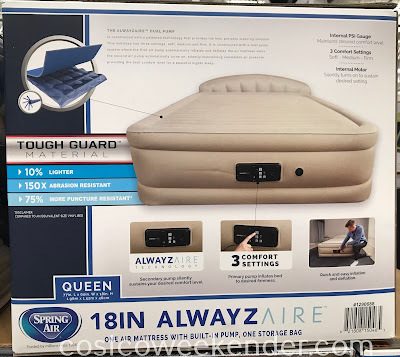 It is constructed with a dual pump system where the first air pump automatically inflates and deflates the air mattress while the second air pump automatically turns on, silently maintaining consistent air pressure providing the best comfort level for a peaceful nights sleep.